For the fun of it…. It’s a shame they took a perfectly good song like “Ghost Chickens in the Sky” to make such a ridiculous parody like “Ghost Riders in the Sky.” What’s the world coming to? Now they want revenge….Ghost Chickens in the sky. They had no meat or feathers, these chickens all were dead. They picked the farmer up; he died by the claw. They fried him extra crispy….and ate him with coleslaw. After Friday’s Third Day concert in Ft. Wayne, I stayed to help with merchandise pack up. I had been awake since 4:30am as I drove up to the venue to be a part of the unload/set-up merchandise team. Point being, I was tired. So, sometime between 12:30 and 1 a.m., I was cruising along in a zombie-like state and realized I had failed to reset my cruise control after leaving the 65 mph zone when I saw the flashing blue lights on the car driving by turn on. He turned around to “come get me” – I was already pulling over. I was busted. I’ve never had a ticket for speeding. I was pulled over ONCE 22 years ago but only because the boat-on-wheels called a Volare that I was used to driving was out of commission and we had borrowed my brother-in-law’s very nice, newer car with incredible pick-up! The officer had been merciful. (I just wanted you to know that I don’t make a habit out of speeding). 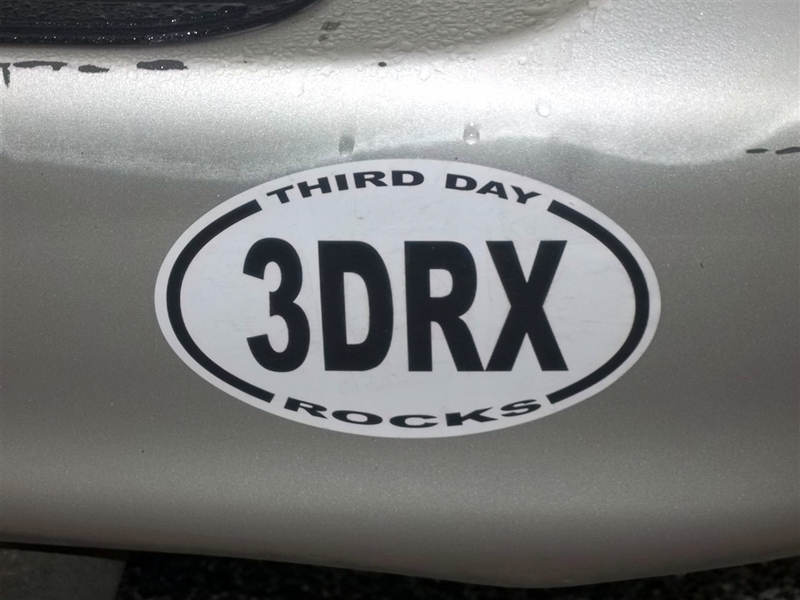 Here’s where I need to mention that I had just put my new Third Day bumper sticker on our catering van (much to my husband’s dismay) THAT morning! No kidding, folks!!! I got pulled over by a Third Day fan! How incredibly cool is that?? I was awake and thanking God after that. Please fill our children with the knowledge of Your will. Give them wisdom & spiritual discernment.